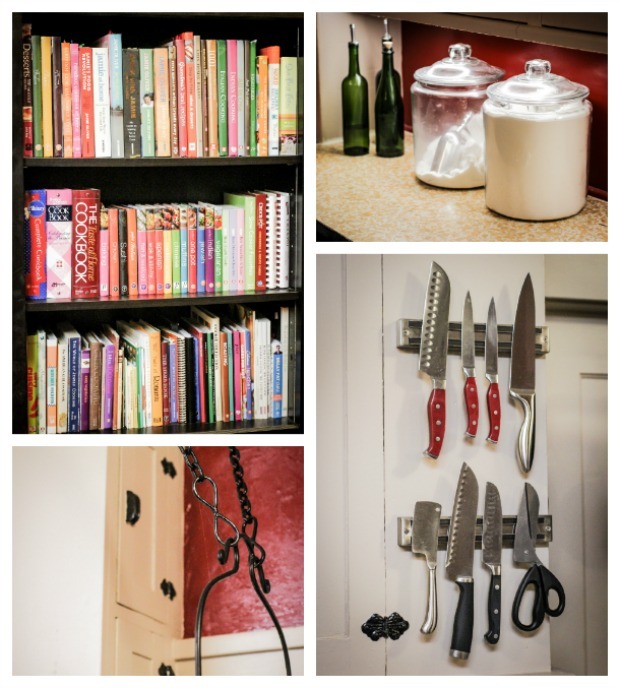 Hello there and welcome to a little photo tour of our home! We live in a large house that was built in 1907 as a Bed & Breakfast type Lodging House; just three years after the town was first founded. This was one of the first homes built. When we bought it, it had been transformed into a 5-plex apartment building and was in need of extreme tender loving care. We've spent the last year transforming it back into a single family dwelling, and we've tried our best to wake up the rustic vintage architexture and feel of the original home. It's been such a fun and rewarding process so far, and we're excited to continue our work every day! This truely is our dream house, and we can't wait to share it with you! Today being the first installment of the tour, we thought we'd start with the 'heart of the home': our Main Kitchen. Welcome! 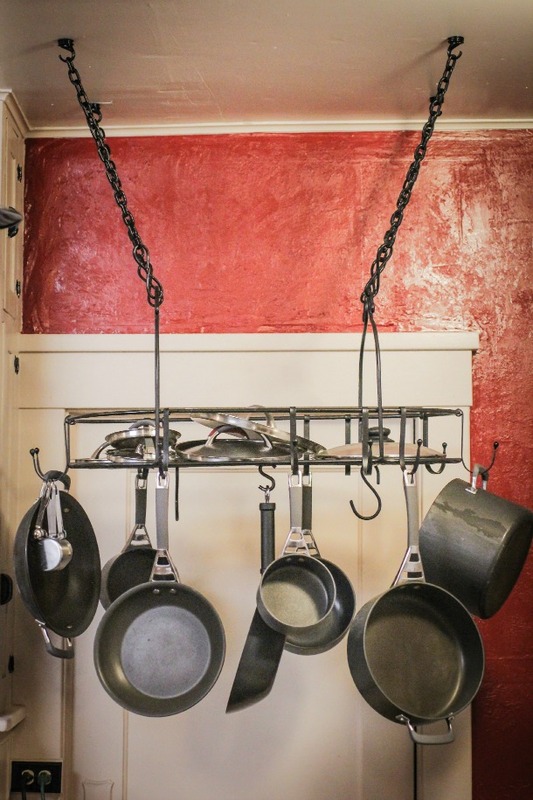 We absolutely adore some of the antique features that still remain in this kitchen: Cabinetry, doorknobs, latches and locks, bead-board back splash, trims, solid doors, rustic wood floors. The original sink is my favorite. In our previous home, we often had difficulties digging through multiple cupboards to locate that little bottle of spice needed. 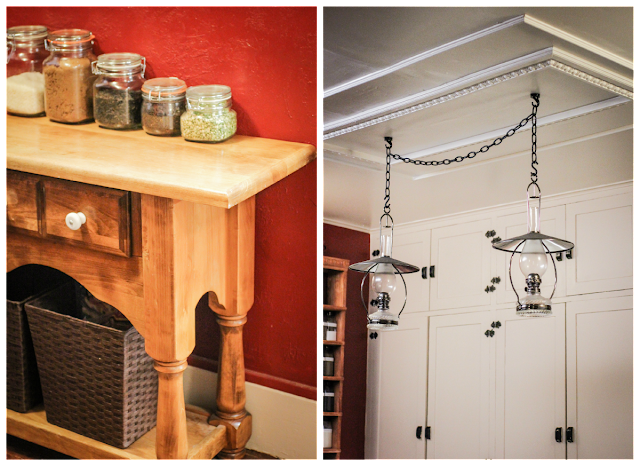 Martin designed and built our open spice rack to accommodate some of our favorite spices, and we've arranged them alphabetically right above the stove for easy access while cooking. 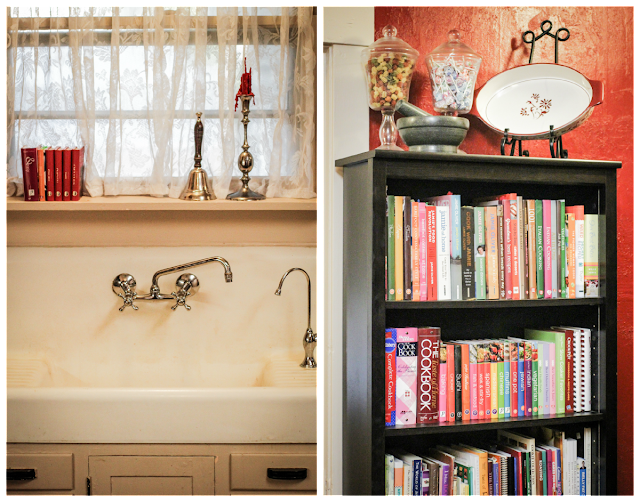 Be on the lookout for the rest of the house coming one room at a time, and thanks for taking a peek at our home! My dream is to own a larger, older house like that. You just can't beat the details and design they used back then. And your spice rack looks wonderful! I'm a bit envious of it. I can never find my spices when I need them. Um, your kitchen is AMAZING. And that organized spice rack makes me drool. Thanks for sharing! Pretty sure you have my IDEAL kitchen! Love the spices all out in the open and the antique touches (that sink! love!) Thanks for sharing! 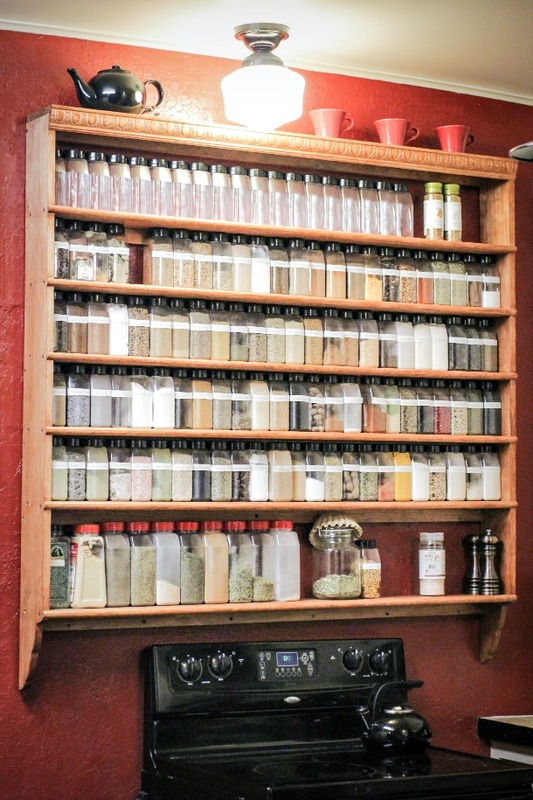 Your spice rack and amount of spices is IMPRESSIVE! Beautiful kitchen. Thank you all so much for your feedback! I've been so excited to share our kitchen with you! What a lovely kitchen! I'm so glad you saved the original elements - it's always a shame when people buy historic homes and then gut them. so pretty! i love all the spices and whatnot above the stove/oven! Wow, how cool would it be to fix up something like that. It is beautiful, can't wait to see more! I basically want to move it!! Your kitchen!! SWOON! Love your style! I don't think you have enough spices though ;o) Love the little lighting fixtures and your kitchen sink! My sink is so tiny; we really need to replace it! Gorgeous! I would love to have an older home and be able to restore it and make it our own. You all have done a wonderful job!! 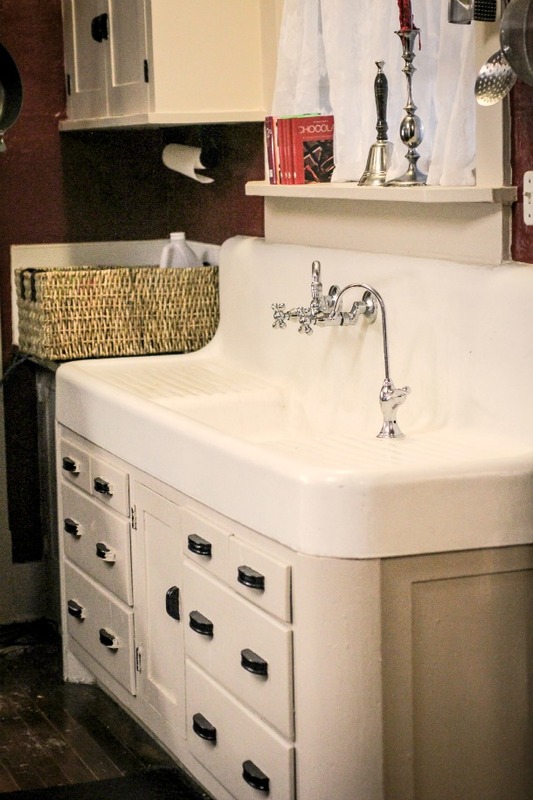 I love that sink, it is definitely my favorite part of the kitchen! So very unique and I love all the organizational details. That's a super cool sink, but I'm wondering how you reach those spices without standing on the stove?! Amazing, just AMAZING!!! 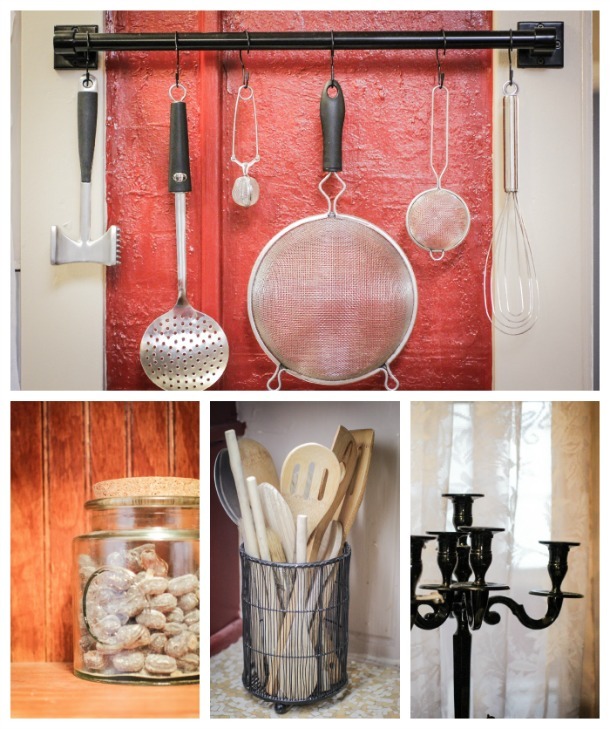 Love that spice rack!! Oh wow this kitchen is amazing!! 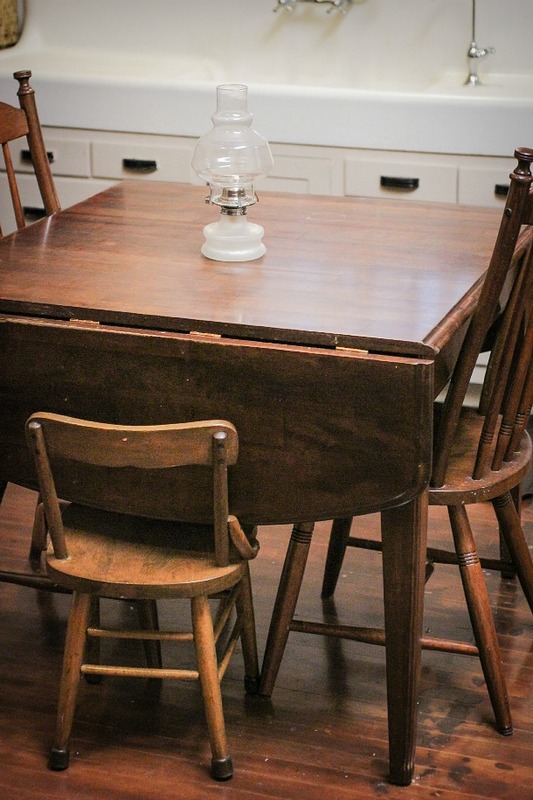 my husband and i were looking at older houses like this because their character is amazing, but we didn't have the capital to fix it up, but it is definitely my dream to do what you are doing - can't wait to see the rest of the house!! ps where do you buy your spices?? I must agree the sink is AMAZING, and that spice rack is huge!!! Amazing house and kitchen! I am your newest follower. Thanks for stopping by my blog! I have a lot of work to do! That spice rack is unbelievable! Loves it.